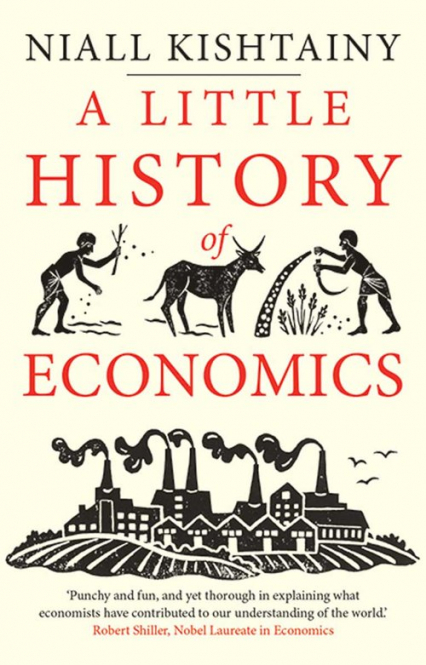 A lively, inviting account of the history of economics, told through events from ancient to modern times and the ideas of great thinkers in the field. What causes poverty? Are economic crises inevitable under capitalism? Is government intervention in an economy a helpful approach or a disastrous idea? The answers to such basic economic questions matter to everyone, yet the unfamiliar jargon and math of economics can seem daunting. This clear, accessible, and even humorous book is ideal for young readers new to economics and for all readers who seek a better understanding of the full sweep of economic history and ideas. Economic historian Niall Kishtainy organizes short, chronological chapters that center on big ideas and events. He recounts the contributions of key thinkers including Adam Smith, David Ricardo, Karl Marx, John Maynard Keynes, and others, while examining topics ranging from the invention of money and the rise of agrarianism to the Great Depression, entrepreneurship, environmental destruction, inequality, and behavioral economics. The result is a uniquely enjoyable volume that succeeds in illuminating the economic ideas and forces that shape our world.